Lab M is launching its new µPREP™ Ready-to-reconstitute enrichment media. In a show exclusive, Lab M will also discuss Captivate™ O45, the further extension of its Captivate™ range of Immunomagnetic Separation products for the isolation of Shiga Toxin-Producing Escherichia coli (STEC) strains associated with foodborne infection. Captivate™ O45 is in the final stages of testing ahead of launch early in 2014. 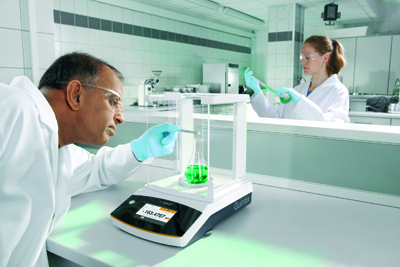 Sartorius’ new lab balances - Quintix, Secura and Practum – are making their UK show debut. Secura® guarantees high reliability and security in regulated areas by warning users when a balance is not level or requires calibration. Quintix® offers internal calibration and seamless data transfer to Excel while Practum® is an entry level product. Sartorius is also launching the Microsart® @filter/@media system. Trafalgar Scientific is unveiling its new CFX96 Touch Deep Well™ Real-Time PCR Detection System which offers precise quantification and target discrimination for up to 5 targets in large-volume reactions. Visitors to Ash Scientific’s stand will be able to see its new GA2100 ESI-HPIMS spectrometer. This self contained high performance ion mobility spectrometer offers rapid high resolution, separation and detection plus versatile analysis of solids, liquids and gases. The company is also launching the Miniature Luminar 5030 Hand Held AOTF-NIR instrument which is ideal for raw material, moisture and active ingredient identification, coating weight analysis and blend assay. Lab Innovations will also be the first UK show for Spectro Analytical UK’s SPECTROBLUE TI. The inductively coupled plasma optical emission spectrometer optimizes linearity and dynamic range, while enabling high-sensitivity measurement of toxic elements, which makes it especially suitable for environmental analyses. The company’s portable SPECTROSCOUT energy-dispersive XRF analyser is also making its UK debut. Brookfield is unveiling for the first time at a show its new DV2T Viscometers and DV3T Rheometer which deploy touch screen technology. ETI is launching 8000+ pH Meter. This a three-in-one instrument that features a large easy to read, LCD display that indicates pH over the range of 0 to 14 pH with a resolution of 0.01 pH, mV over the range of -999 to 999 mV and temperature over the range of -39.9 to 149.9 °C with a resolution of 0.1 °C. Camlab will be using the show to debut the Memmert GmbH next generation of appliances with improvements to heating performance, heating up speed, air exchange rate and device specific parameters such as humidity and pressure which can be adjusted by the end user. Cleaver Scientific is launching its runView, runDoc, runSafe products. 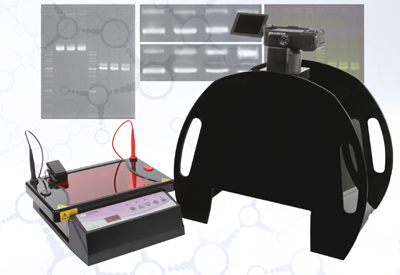 Designed to make DNA electrophoresis procedures safer, more convenient and more economical, the ‘Safe’ Series eliminates the need for Ethidium Bromide and the need for ultra violet light, without compromising the results of electrophoresis procedures. Erlab’s new CaptairBio PCR workstation has been designed with powerful UV decontamination. This allows laboratories to perform non-pathogenic handlings with a high risk of sample cross contamination. Those interested in sample preparation have plenty of new products to see. Specac, which provides accessories for sample preparation, ATR accessories and infrared transmission products, is launching the Quest ATR Accessory. RPD Tool is launching SamplePrep - a system to automate chromatographic sample preparation. Esslab is launching three new products at the show; The Hamilton MicroLab 600 is a complete liquid handling system designed to enhance current methods of sample and standard preparation. ML300 is Esslab’s guided pipetting station that minimizes pipetting errors and ensures consistency across all technicians and sample types. Esslab will also be launching the Hirschmann Rotarus® peristaltic pump series of continuous dispensing pumps.